Charter Bus Lakeland, FL. Lakeland Shuttle Buses in Polk County, Florida offers everyone in the Lakeland-Winter Haven metro area cheap rides to the airport and special airport shuttle bus service to Tamp International Airport (TPA) and Saint Petersburg-Clearwater International Airport (PIE). You can also take a Shuttle Bus to nearby Orlando International Airport (MCO). Price 4 Limo's Lakeland Buses are ready round the clock, 365 days of the year, including all holidays, with door-to-door chauffeur service and exclusive complimentary baggage service. Lakeland Shuttle Bus drivers are first-rate and will hold a sign up for you in baggage claim and provide clean, safe, and generous VIP travel anywhere in Florida. Lakeland charter bus service can accommodate any party size and is primarily used as an activity bus for tourists and large groups visiting the Lakeland area, where there are many things to do. 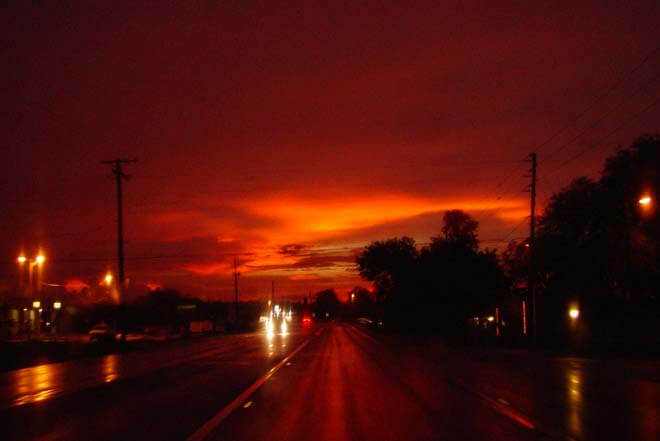 Hire a Coach Bus in Lakeland for a cheap ride to the Hollis Garden or a ride to see the Polk Theatre, where you can be dazzled by the old 1920's décor and enjoy art films without having to go to Sarasota, you can even watch old silent films with musical accompaniment provided by a live organist. Lakeland Bus rentals can get you to any destination and take you to any cultural or leisure spot of your choice. A Lakeland mini bus can be rented for bachelor parties, sightseeing trips, and family reunions. 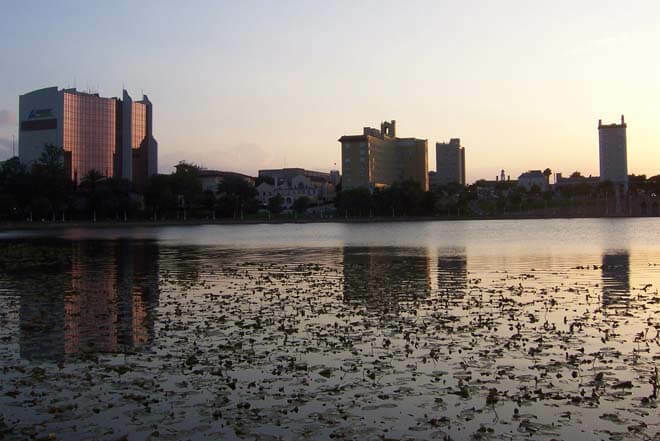 Let a Lakeland Charter Bus drive you to one of the 38 lakes in this region – where you can see the descendants of the swans who were once sent to the USA by Queen Elizabeth in 1954. With much to do off Interstate 4, Lakeland Shuttle and Motor Coach Buses in Polk County are here to serve you seven days a week. 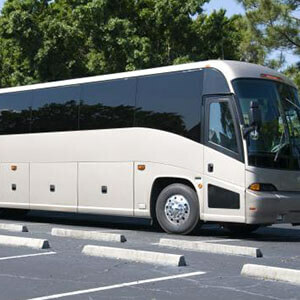 Lakeland VIP & Charter Buses in Polk County offer luxurious ground transportation. Our VIP bus service even caters to educational facilities with cheap rides for students and faculty at institutions such as Florida Southern College, Polk State College, and Southeastern University at an affordable rate. Lakeland Chartered Bus service provides point-to-point transportation for religious events, groups, and holidays. Lakeland Buses are always used as Beach and Party buses for students on Spring Break who need safe and comfortable vehicles for hire to get them to where they want to go, without having to worry about drinking and driving, parking, or refilling gas. You can take a Lakeland VIP motor coach bus for a day trip to the Polk Museum of Art or the Explorations V Children's Museum, where children host their birthday parties every year. Let our chartered bus drive you and your party to Joker Marchant Stadium where baseball fans can get a glimpse of spring training, or the Club At Eaglebrooke – where golf courses await you. With Family Fun centers and loads of museums in addition to beaches and theme parks, you'll have no problem staying busy and having fun under the sun. Take a Lakeland Charter Bus to Harry's Seafood Bar & Grille or to Zohra's Restaurant on Lake Wire Drive. And when it gets dark, Lakeland Bus Rentals provide special VIP transportation for a night on the town as you bar hop or club hop and enjoy everything from Doc's Place to Club Kathleen, with its posh décor and great ambiance, all before being driven back to the Hilton Garden or Jameson Inn B&B or one of the suites along the South Polk Parkway. Take a Shuttle Bus in Lakeland to go shopping, whether it's to stock up on food for the month, or for a special barbecue along Lake Parker. Those of you here for one reason only – business – can take comfort in knowing that we provide exclusive business transportation with our Lakeland Corporate Bus Service, which can drive you to your meeting, conference, or seminar at the Lakeland center or any of the annual conference centers, like the one at the Ramada Hotel. 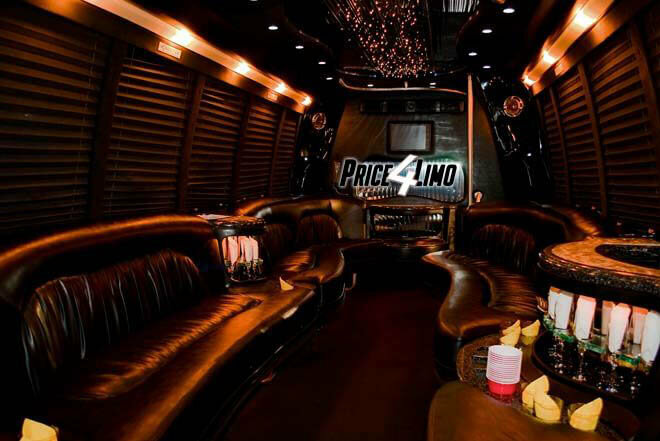 Price 4 Limo's Lakeland Bus Service is the best and cheapest bus rental service in the area. We offer flat rates, not metered rates, free baggage service, and are always ready to give you first class VIP treatment. Don't use other overpriced bus and limousine or taxi companies in Lakeland and let us give you the most affordable limo bus and VIP and limousine service that Florida has to offer! Easily fill out the form and we'll get you a quote right away. 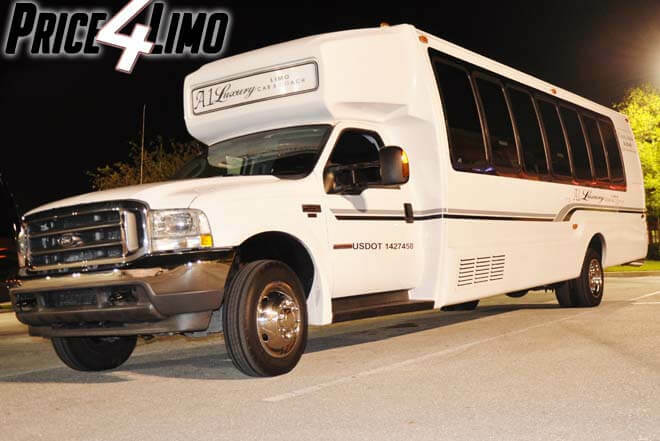 Remember, Price4Limo is the best place to book your Shuttle Bus and Charter Bus Service Rental in Lakeland, Florida.